At Clara Fields we understand our ingredients and our process like nobody else. 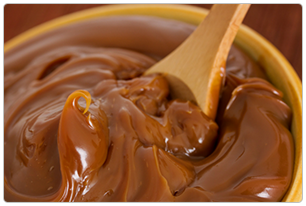 That knowledge and experience, combined with our total commitment to quality, allow us to produce the very finest Dulce de Leche and caramel sauces. We also maintain an excellent reputation for working in partnership with our customers to meet evolving or specific needs. We work to a traditional Argentinian recipe using whole milk, sourced from fine dairy herds who graze on the lush grasslands of County Offaly, Ireland. 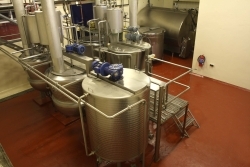 At our state of the art plant, we carefully marry the highest quality ingredients with tried and tested recipes, in a modern controlled process, to deliver exceptional results. Our master craftsmen take the full fat milk and carefully add sugar, glucose and the suitable flavouring for each batch.